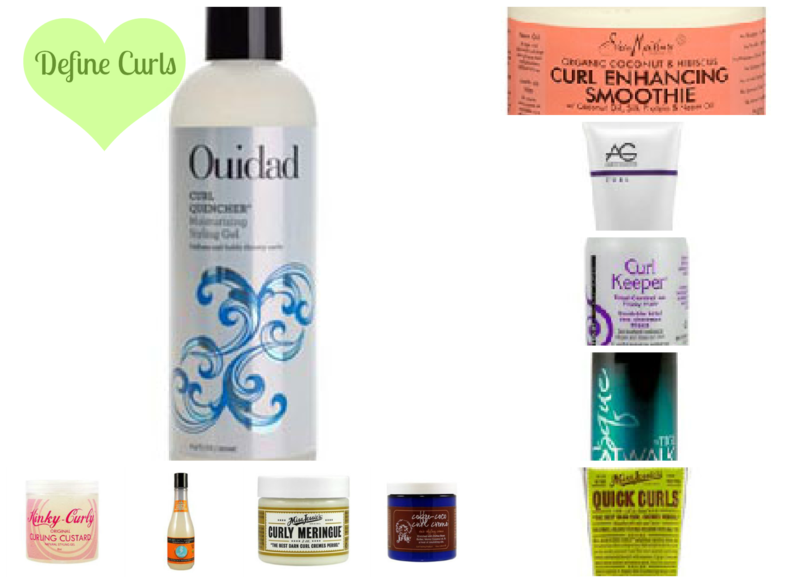 Pop your curls with the TOP 10 curl-defining products! It can be difficult and often times frustrating to find that perfect styler for natural hair that defines your coils in the EXACT way that you’re looking for! If you’re anything like me then your super specific about the type of curl pattern your trying to achieve. You want it chunky, but not to fat, coily but not to short, bouncy but not too loose…. (I can go on, and on lol) But the point of the matter is, there are TONS of curl-defining products on the market that promises that perfect curl definition that we’re all seeking. But why sift through thousands of products to find the right one? Waste of time. Author, Evelyn Ngugi, of Naturallycurly.com tells us all about the top 10 curl defining products! Like she say’s in the article, “no two heads are the same.” But these product suggestions should most definitely lead you in the right direction towards achieving great curl definition! Tigi’s Curls Rock Amplifier has the texture of a creamy hair lotion. smoothes your coils. Expect extremely shiny and springy coils. light curls instead of the wet, heavy look that gels might give. colder, it’s great as a standalone product. a try if you have waves and loose curls or fine, thin curlier hair. your hair might love this product. product. Give it a try if you want a light, bouncy wash and go. section and watch the curls bounce back! might be better to use on top of a conventional gel. My personal favorites on this list include the Shea Moisture Curl Enhancing smoothie, Miss Jessie’s Curly Meringue and Miss Jessie’s Quick Curls. All these products work well for my tight, coily hair texture! Have you tried any products on this list? Sometimes I have to make copies of my various ideas and then cut the various ideas and move them until I get what I want. What would you like to try?